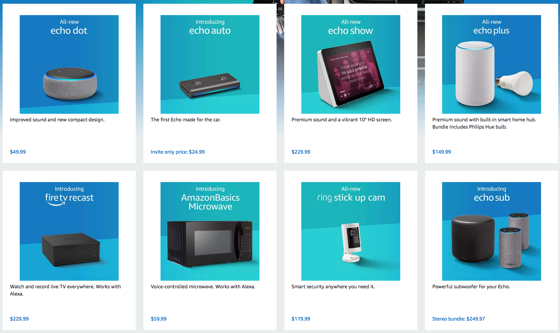 Amazon released a score of new and updated Alexa devices yesterday. Here are links to all of them. For me, the updated Echo Dot is the most interesting, although finally getting a full-blown Echo Plus with included Hue hub would also be a nice addition to the home. Hera are all the devices linked directly to Amazon where you can find all the tech specs on each.